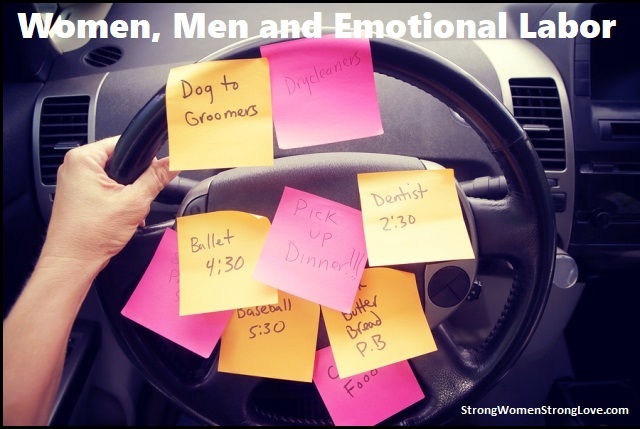 You and your husband may have discussed (or argued about) how you divvy up household chores and responsibilities. But have you ever talked about how the two of you divide the emotional labor that’s necessary to keep your relationship and your family functioning? The term “emotional labor” has gotten a lot of buzz in the past few years, but it’s not new. Academics have been looking at the concept for decades. Inequity in who performs emotional labor is an issue in the workplace, in social situations and at home. 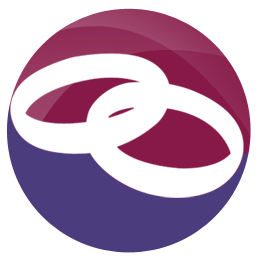 But, since this is a blog about marriage, today I’m going to focus on emotional labor as it affects our domestic relationships. Of course, we all perform emotional labor in our relationships. The reason it’s such a hot-button topic, though, is that emotional labor at home disproportionately falls on women. Your husband may be happy to go to parent-teacher conferences and other school events with you. But you’re the one who is primarily responsible for nurturing and meeting the emotional needs of your kids on a daily basis. You talk to them about conflicts with friends. It falls on you to make sure their birthday celebrations special. When you can, you volunteer at school so you will be seen as a good mother. Somehow it’s fallen on you to remember and send birthday/sympathy/graduation cards and gifts — even for his side of the family. You habitually monitor and manage your husband’s emotions, doing what you can to keep the peace. When you have guests, you’re anticipating their needs so they have a good visit. He simply enjoys himself. While your husband does chip in at home, you’re the one who’s constantly thinking ahead: We need to go ahead and book our vacation to get the best rates … If we want to host dinner on Saturday, we have to pick up groceries and clean up before then … If we want to sell the house next summer, we should start fixing it up now … Your mom is having trouble getting around. Let’s find someone to help her with chores. Again, no one is saying that you shouldn’t perform tasks like these — or even enjoy performing them. The problem is that if you’re doing all of this type of work in your marriage, you’re going to end up depleted. That isn’t good for your health or the health of your relationship. When you’re exhausted and stressed, you’re likely to become resentful with your husband. And he may have no idea why. First, realize that the emotional labor you do really is work. If you’re feeling tired and frazzled, it could be the constant emotional pressure you feel as you try to tend to everyone’s needs. Don’t wait until you explode. Ask for what you need from your partner. You may undervalue emotional labor because you’ve always prioritized other people’s emotional needs before your own. It’s important to acknowledge that constantly trying to keep others happy can be burdensome. It’s okay to put your needs first at times. Just because you’re better at emotional labor than your husband, doesn’t mean it should always fall on you. As writer Rose Hackman points out in The Guardian, we’d never accept this line of reasoning when it comes to, say, cleaning. If your husband isn’t taking on the emotional labor in your relationship, that doesn’t mean he’s a bad or incompetent person. Family therapist, speaker and author Terry Real reminds us of a disappointing truth: Almost universally, men don’t grow up learning how to be intimate partners. But that doesn’t mean they can’t become more skilled at emotional labor. Your marriage will certainly be stronger if you and your husband can learn how to share the job of nurturing and tending to the emotional needs of your loved ones and each other. If this article has resonated with you, you and your husband may want to read my book Strong Women, Strong Love together. It’s a practical guide to maintaining a strong marriage amid our busy lives.